Trading Strategies for Amazing Accuracy Market Forecasts! Trade Market Tops and Bottoms! If you could know in advance when to expect the market to make bottom or top, you could buy or sell at the best price at the lowest risk. It is for this reason that many have spent thousands searching for that "edge" that will allow them to catch moves right at the start for minimum risk and maximum profit potential. You may have heard it referred to as the "holy grail". In trading, there is no "holy grail", no single "secret", that will make you invincible in trading. That is just a pipe dream. If it actually existed, the trading market would cease to exist because it relies on traders taking both sides of each trade. Who in their right mind is going to take the opposite side of the "holy grail" trader? Therefore, it is a good thing that nobody can know every exact top or bottom, price and day. Fortunately, there is a "rhythm" to market price action that makes precision market timing possible. There is a mathematical relationship between market tops and bottoms that makes determining many future tops and bottoms predictable to within a day, enough to gain an "edge". By using both cycle extraction methods and market geometry, forecasting future short-term and weekly market tops and bottoms within +/- one price bar a high percentage of the time is a reality. Welcome to FDates Market Timing! "FDates" is the name given to the calendar dates produced by a powerful group of applications referred to as the FDates Suite of Applications. Developed back in 1995, these applications are used to generate the future calendar dates that determine when swing turns (tops and bottoms) are highly likely to occur. These future dates (FDates) are then published as the FDate Report for our members. How these applications are able to do this is based on several factors known to affect market price action: Market Cycles, Seasonal Tendencies, and Geometric Relationships (price pattern analysis). The exact application of these methods are of course proprietary and not made known to the public for obvious reasons. The chart shown above (Chart 1) provides an example of what these projected future 'dates' can do. In this example, February 4, 2014 was expected to likely produce a turn days in advance. In fact, the date was first listed as a potential future turn on the January 24, 2014 FDate Report. As you can see on the chart above, this resulted in a very impressive swing bottom. Now imagine that you were expecting this bottom as a trader in the SP500. Would this have been useful to know? Absolutely! The name FDates is simply an abbreviation for 'Future Dates'. 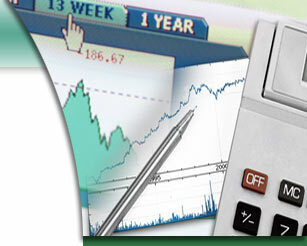 These FDates are published each week for our FDates Market Forecasting members via the FDates Report. What is the FDate Report? The FDate Report is uploaded to the FDates Market Forecasting membership at the end of each week. This report contains a list of markets and their associated expected future turn dates. These future turn dates come in two time-frames: Daily and Weekly. The Daily Turn Dates (DTD) are the dates (up to 7 trading days into the future) that the market in question is expected to produce a swing top or bottom on the 'daily' price chart for that market. The Weekly Turn Dates (WTD) are more long-term and are 'end-of-week' dates that the market in question is expected to produce a swing top or bottom on the 'weekly' price chart for that market. Having both 'daily' and 'weekly' turn dates, strong expectations can be determined days and weeks ahead for the markets listed on the report. The only way to get FDates is via the FDate Report, and the only way to get the report is having access to the FDates Market Forecasting membership site. Formed in 1996, the FDates Market Timing membership has been providing its members with the FDate Report along with other powerful tools and information. For example, as a member you will also have access to our powerful Cycle Envelope charts. The Cycle Envelope charts are based on the cycle theories of Hurst. The cycle pattern of the market for both short-term and long-term is exposed and from this the 'expected' future short-term cycle pattern is extrapolated and plotted on the chart. Within the Membership, members have access to these powerful Cycle Envelope charts as a bonus. Below is a sample of one of our Cycle Envelope charts found within the FDates Market Forecasting membership. Notice how you can quickly see the current cycle trend, and what the future short-term and longer-term cycle trend will likely be. These charts are updated regularly, one for every market that we have listed on our weekly FDate Report. When you join the FDate Market Forecasting membership, you are provided access to our members-only site. 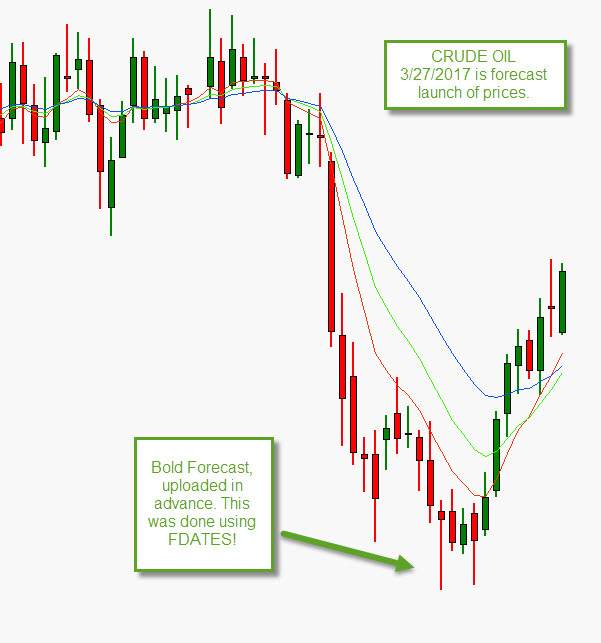 Within this membership site you will find our weekly FDate Report, Cycle Envelope charts, and plenty of videos and tutorial PDFs that show how you can trade using FDates for objective signals. For those who have opted for our Platinum Premium Membership plan, you will also have access to our very special, powerful charting application called Previsions Charting. This charting application has a few 'special' tools not found in other charting applications that can provide you with incredible insight on the market being analyzed. Premium Members can use this application for FREE for the life of the membership account. Are FDates Really Useful? Take a look some of the public forecasts made using FDates and see for yourself! THIS IS NOT A FLUKE! HERE IS ANOTHER FORECAST UPLOADED IN ADVANCE. THE RESULT OF THIS FORECAST? Below are actual unsolicited comments made by members. "As you know I was virtually dead and buried in this business a year ago, my only skepticism regarding FDates was the possibility that I was just chucking good money after bad in the vain attempt to find a magical trade that would keep me going. I had already tried many systems and spent a small fortune, you were the only one that didn't fleece me, the only one that provided a workable and honest system, sure it was difficult to understand in the early days, but what isn't that's new, and boy was it worth it!!!!!!" "...we're all so used to Rick's being able to time market moves with such incredible precision that we've forgotten how absolutely amazing this is! Does anybody remember what trading was like before you discovered FDates? I do -- for me, it was a lot of hard work and frustration mixed with trips to the bank to wire more money into my account! Now what's it like? I called my broker today to have HIM send ME money to pay for the vacations (plural) I took this summer. THAT'S how it should be! And with CEPPRO [a later version of the FDates program], I look forward to even more vacations! Hooray FDates!" John R.
"My broker (discount of course) asked me today what I am doing different to place trades. I asked him why. He said he has been following my account closely and I am up 38% for the year [due to trading FDates]. None of his other clients are even close! I guess he didn't think I knew that. Ha! Ha!" Jim P.
"Since February, my losses total $684 and my earnings are over $12,000. Well, the story has gotten more interesting since then, and I want to share that story with you. "A broker friend of mine claims your system is no better than "fortune telling." He argues that I know nothing about trading and my success is just sheer luck. In fairness, he is partly right. I do know nothing about trading. To prove that point, my friend had me answer the sample exam for Part 1 of a home study course for people who wnt to become commodities brokers. Of the 23 questions, I got 9 right! So here's what happens next. On 6/15 heating oil reaches a new high and I think to myself that 6/15 is an fdate. So I go short around 4650. The market moves down and on 6/21 we hit another fdate, so I get out around 4450. To me, that's a nice 200 point trade, and I'm happy. My friend says I'm a fool. Then I watch the action on Tuesday, 6/22. What do I see? I see that heating oil bottomed out around the same point on both Monday and Tuesday. I call my friend to ask him if this is a plateau bottom, and he calls me an idiot. Well, it's a plateau bottom to me and Rick says to watch these formations closely. Besides, we're at fd+1 [one bar of FDate]. Moreover, the support is at 38% retracement. What do I do? I go long. On Wednesday, heating oil shoots up over 100 points. Guess who's along for the ride? Right, me. OK, my friend thinks I'm an idiot. So what. My friend says the system can't be valid if it hasn't been backtested for 10 years. So what. My friend takes losses left and right. So what, I don't. All I know is that in a week's time I picked up 300 points in profit. I'm having so much fun doing this that I might do it again on Friday!" The Amazing "Market Forecasting Secrets" book! This is the book for those who want to learn powerful secrets to forecasting market turns on their own, or in addition to the benefits of the FDates Report. This is a separate offering and not part of the FDate Membership. 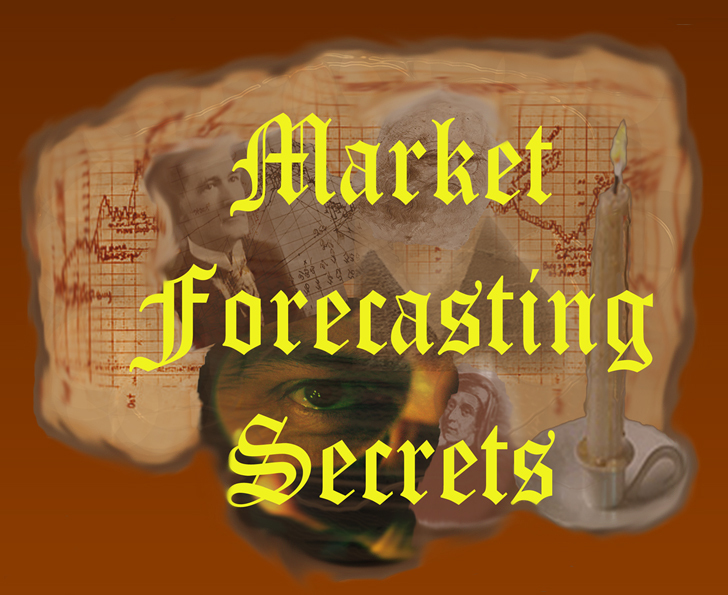 Discover 12 (+ bonus = 13) amazing Market Forecasting Secrets that you can use right now to forecast major market turns. There are secrets in this book that you have not seen in any other book of this kind. Do not lose out on this opportunity to learn amazing and valuable market forecasting secrets that this book has to offer. Secure your copy today! *You can also use my currency future turn dates to time Forex market tops and bottoms for those paired with the USD. “... "Wow. Cotton has really followed the dates...Unbelievable. Your projections are sweet!” - Aaron W.
“Please sign me up for premium gold. I can't live or trade without your service...I have been returned all monies loss and spent on trading and am moving to that happy place of profit. Thanks.” - Robert W.
“ ... Rick, it's amazing what happens to one's confidence and profits when the hope of a quality system turns to reality. You my friend have restored my faith in the search for honesty and transparency in our profession.” - Steven W.